In what is likely to be the penultimate article in my Analogue Nt Mini series for some time I intend to devote some time to a few of the more interesting cores remaining in the system, then discuss the video output from the NES. Finally, I will offer my predictions for the future. 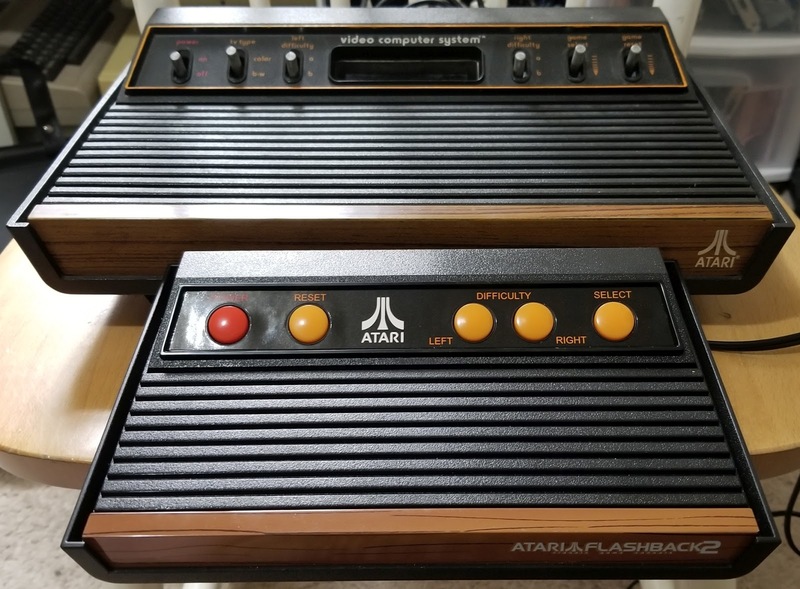 While browsing in one of my local thrift stores, I encountered an item I had been wanting for a long time, the Atari Flashback 2. This mini-console with its built in games had interested me ever since it first game out. Even though I already had a light-sixer 2600 and a Harmony Cartridge, I still wanted one of these. The box was marked at $24.99, but the seal seemed to be still intact, so the purchase was a no-brainer for me. In this blog post, let me describe the system, its capabilities and talk about its included games and its legacy. This review may be 12 years too late, but I could not let this opportunity pass without comment.